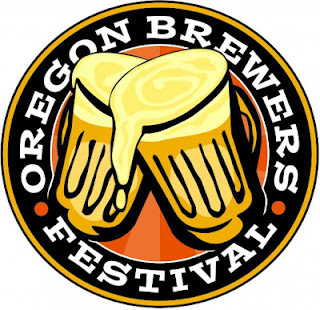 Alex’s love of the Pacific Northwest beer was the catalyst for a conversation between Mike of Dunedin and Jack Harris of Fort George Brewery shortly after Dunedin Brewery was invited to participate as the first Florida brewery in the Oregon Brewers Festival. Realizing a great opportunity to bring some depth to the Pacific Northwest trip, Bryant and Harris decided they would exchange recipes from Astoria to Dunedin -- and vice versa. Fort George brewer Jason Palmberg travelled to Dunedin in late April for a five day stay, his duffle bag filled with hops. During his stay, the crew brewed The Rock, Dunedin’s Double IPA, and the Dunedin’s version of Fort George’s Vortex. 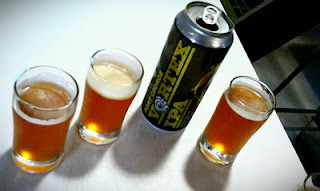 The Floridian version, dubbed Vortex on the Bay, was released in Florida at Dunedin’s 4th Annual IPA Festival on June 2, 2012. Additionally, the original Vortex IPA from Fort George Brewery was on hand to sample side-by-side at the fest for comparison. While Bryant’s ties remain in Florida, a group road trip from Portland, Oregon to San Francisco, California in the Summer of 2004 helped him fall in love with fresh hop flavor and aroma, where he tried his first Bridgeport IPA on cask. “Nothing compares to a West-Coast style IPA when it hits the nose and tongue. My love affair with beer is mainly a love affair with hops,” says the brewer. “During our journey to the Oregon Brewers Festival, we will visit numerous breweries across the country. We will be documenting the entire trip and compile the footage into a short film to be released later in the year. Along with video documentation, a few of us will be using Facebook and our blog to post live updates. You can follow us at FLOregonTrail on Facebook and Dunedin Brewery. Bryant outlines a number of their brewery and bar destinations, including BridgePort Brewing Company, Fort George Brewery, Gigantic Brewing Company, Hair of the Dog Pub, Rogue Ales, Cascade Brewing, Pelican Pub and Brewery, The Fish Tale Brewpub, Lagunitas Brewing, Russian River Brewing, Bear Republic and more. While in Astoria, they will brew with the Fort George crew. “Day 1 will acclimate us to their brewing system and style. On Day 2, we will brew Astoria on the Rock, our Double IPA recipe. 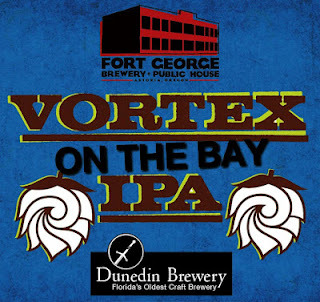 We will also be bringing some kegs of our other beer out to Fort George Brewery to share with their folk, including Vortex on the Bay,” says Bryant. 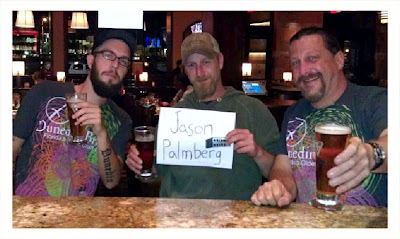 Oregonians can keep an eye out for the Dunedin crew and welcome them in grand Oregon Craft Beer Month style when they arrive. For those attending Oregon Brewers Fest, Dunedin Brewery has created a unique IPA brewed with Florida orange blossom honey, sweet orange peel and plenty of hops. Dunedin Brewery's 16th Anniversary Party will be held on Saturday July 14th, the day before the epic FLOregon Trail journey begins. You can find more information about the event, including the 26+ Dunedin Brews that will be on tap here. In the spirit of continued collaboration, this article was brought to you by Sean Nordquist of Florida’s Beer for the Daddy, and Emily Engdahl of Oregon’s #pdxbeergeeks, diehard fans and supporters of Dunedin and Fort George, respectively.